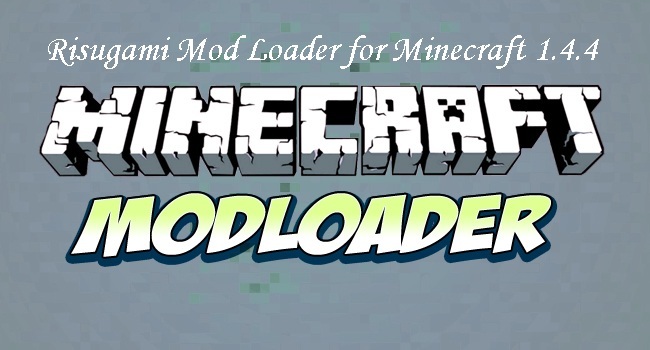 Risugami ModLoader for Minecraft 1.4.4. As Mojang released the necessary bug fix update for Minecraft. Now, it’s time for modders to keep up with that change. Risugami ModLoader is an essential modification manager that allows you to easily install multiple 3rd party mods without any conflict. It provides relief to developers and users who rely on these mods. Go to Start Menu > Run > Type %appdata%, hit enter. Open up Minecraft.jar using WinRAR or any other archiving software. Drag and drop the contents of ModLoader.zip files into the jar file. Delete the META-INF folder inside the jar. – Please make a back-up of your Minecraft directory/saves before installation of any mod. – If you are experiencing any issues/errors while installation please refer to this link.